Nature is the creation of God. The Divine infused it with innumerable bounties for man to use and enjoy. However these gifts must be utilised within bounds, with gratitude to the Giver. Alas, man has exploited these resources, abused Nature, and shown scant regard. Nature does not remain a silent spectator. Incredibly patient she is, but when aroused her fury is unmatched. And that is probably one of the reasons why we have murderous tornadoes and typhoons, famines and deadly epidemics, droughts, floods, avalanches, earthquakes and fiery volcanic eruptions. When disaster strikes, many perish. Curiously, the hapless are those who seem to suffer most; the evil ones seem to get away. This strikes many as unjust and at such moments, God is cursed or denied. But those who believe know that the Law of Karma is just but inscrutable and operates in its own mysterious way and that those who suffer and the others who apparently escape suffering are bound by the same Law. This prompts some to say: “It is all God’s will. Those who undergo pain are destined to do so. Leave them alone. Why should I intervene?” This is a heartless argument lacking all compassion. 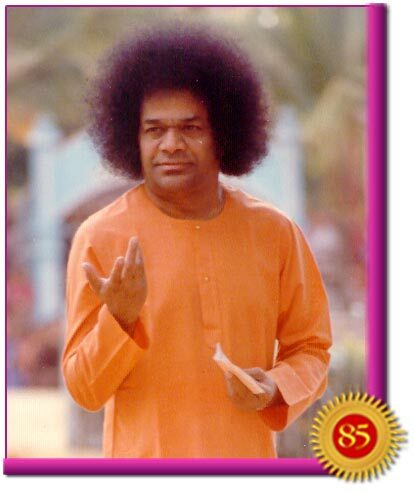 Bhagavan Baba says that we have no business to sit in judgement but must rush to help. On India’s Republic Day in 2001, an impressive pageant was in progress in the capital state of Delhi, in the presence of national leaders. At the same time, parades and flag hoisting ceremonies were being held all across the country, in the towns and cities. In Gujarat, many children had gathered for the celebration in their schools at that hour. 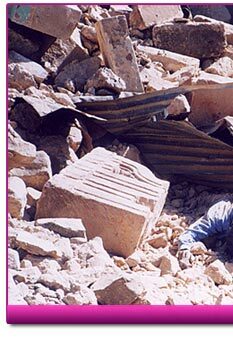 Suddenly the earth below their feet shook fearsomely, and soon buildings crumbled. In a few quick seconds, thousands were trapped in the debris, school children included. 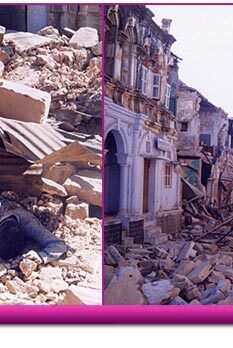 Entire villages were wiped out in just a minute or two. Death made no distinction between the young and old, the rich or the poor. As news trickled out from the disaster area, gloom descended over the nation. The cry of anguish reached even far-off lands. Baba was in Bangalore then, spending some time there after the inauguration of the Super Specialty Hospital in Whitefield in January 19 that year. People rushed to Him to convey the news about the disaster. He listened but gave no verbal response. 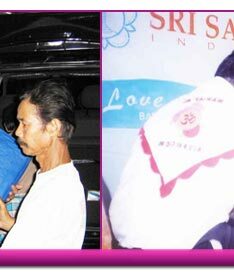 Soon He returned to Prasanthi Nilayam and quietly and indeed unobtrusively, He organised help and relief. Trucks were lined up loaded with food and provisions, and given a loving send off. Swami personally blessed the convoy. And as it moved off, bhajans sung by the departing volunteers could be heard wafting back to Prasanthi. Meanwhile, sevadals from Gujarat and the neighbouring state of Maharashtra were already on duty in the remote areas of distress. When there is a natural calamity, many service organisations (NGOs) with good intentions rush to help. But the people drafted for volunteer work often have little previous experience in rendering such service and tend to crowd into cities, leaving out in the process the outlying villages. Among quake victims, there is a scramble for provisions, but the NGO volunteers find it hard to be patient under such demanding circumstances and often fling items from the trucks into the crowd causing much anguish. 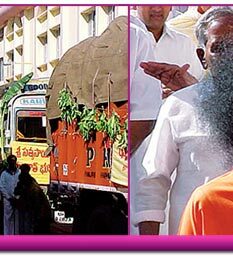 Baba’s trucks on the other hand went to places others did not bother about. 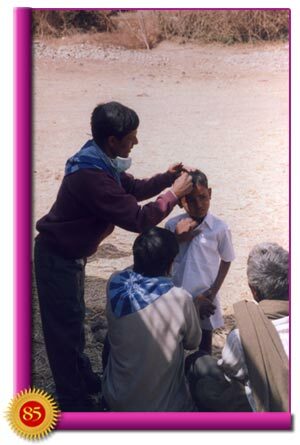 Love was the basis for the service, and relief work was earnestly undertaken in a few selected and needy villages. While service work ended for most volunteer organisations soon after the emergency provisions were distributed, with Baba it was quite different. In an expression of compassion, He gave instructions that the villages that had been reduced to rubble be rebuilt by Sai effort. His command was tantamount to not just relief but rehabilitation too. What ensued was that long after other volunteers had left their area of work and returned to their own homes, Sai volunteers remained in Gujarat helping restore the villages to a state of normalcy. 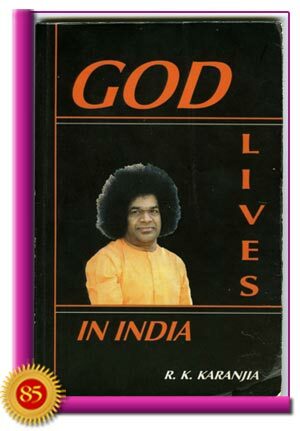 Speaking on the earthquake in Gujarat, Baba has said: “Man should put a ceiling on his desires. As man’s conduct is perverted, we find the occurrence of natural calamities. 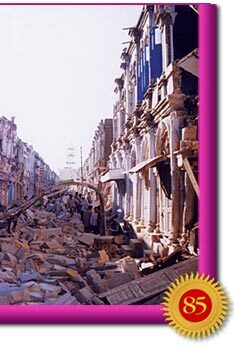 You are aware of the devastation caused by the earthquake in Gujarat. Thousands of people lost their lives. The reason for this is man and his excessive desires. “God maintains perfect balance in His creation. The earth and the oceans are endowed with a balance of perfection. When man exploits the earth by extracting oil, removes tonnes of fish from the oceans on a daily basis, and does similar acts it results in an imbalance. Nature then demands an adjustment that plays havoc with human lives. 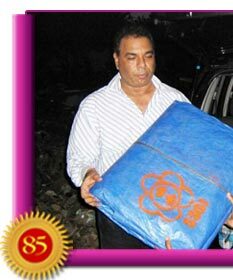 “A few days ago, I sent lorry loads of rice and grams to the earthquake victims of Gujarat. Some people asked, ‘Swami, why do you take the trouble of spending money in sending relief to Gujarat? You just as well could have averted the earthquake.’ I replied, ‘My dear, man has to blame himself for the earthquakes. With his excessive greed for wealth, he is disturbing the balance of the earth. Hence, earthquake happens. That is the law of Nature. Baba has reminded us over the years that selfless service is worship of the Divine. Disasters and calamities, horrible in their own right, are opportunities for devotees to express their love through selfless service. Through their activities, despair is checked, hope is raised, and healing love becomes tangible, enveloping all as it spreads forth. Time and again Baba has reminded us thus: “Members of the Sevadal should overcome the sense of 'mine' and 'thine.' When they embark on service activities, they should regard it as a privilege to help others and an opportunity to worship the Divine who is the Indweller in all. They should consider look upon service to society as the means of finding self-fulfillment in life. Natural disasters are capricious in the selection of location, and strike without warning. Human grief and misery follow in their wake. 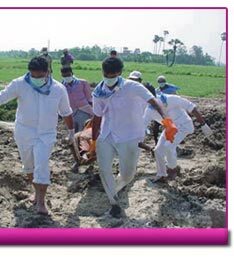 In response, Sai seva volunteers come to relieve the suffering. 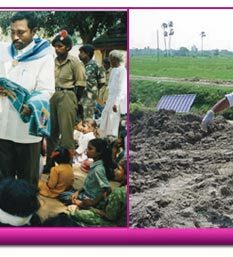 To comprehend the scope of seva inspired by Bhagavan, let us move beyond the villages of India to the catastrophes that has struck mankind in other parts of the world. On 29 August 2005, New Orleans, Louisiana was inundated as a consequence of Hurricane Katrina. Causing over US$81 billion in devastation, it was the costliest hurricane in the history of the United States and the sixth strongest among recorded Atlantic hurricanes. It was also one of the deadliest with about 1,836 lives lost due to the storm and flooding. 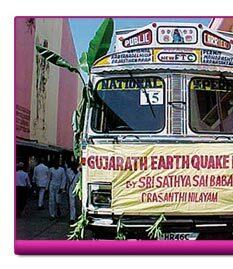 Guided by Baba’s holistic approach to grama seva, a core group of Sai Young Adults from 10 cities in the US coordinated a team, a week after the catastrophe. They assessed needs, planned transportation and organised aid from various Sai Centres. As Hurricane Katrina brought forth a mammoth response from the US government and international aid agencies, the Sai Youth focused on a specific location where the needs were considerable. It was Tylertown in the Gulf State of Mississippi. 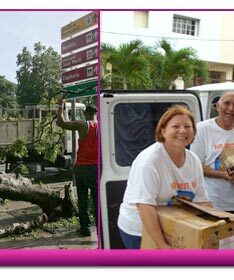 They supplied food to 50 families, cleared fallen trees from homes and roadways, and repaired roofs. 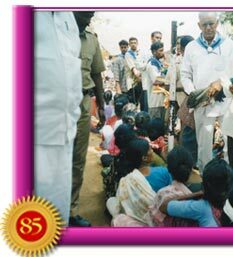 Faced with such an appalling scale of disaster, these young people were inspired by Swami to simply do what they could. 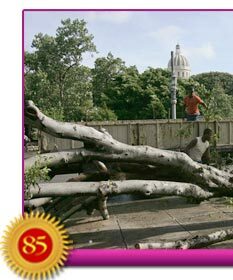 They were a small representation of the outpouring of Seva that was undertaken by other Sai Groups, Sai Centres and Sai devotees individually in the aftermath of the hurricane. 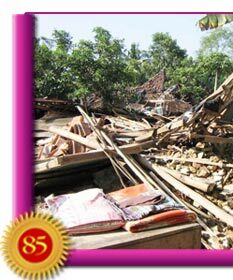 On 27 May 2006, in the early morning hours, a massive earthquake measuring 6.3 on the Richter Scale struck about 15 miles south of Yogyakarta, on the island of Java in Indonesia. Almost 6,000 people died and 1.5 million were left homeless. Into the scene of death and devastation came dozens of Sai devotees ready to work tirelessly for those who had lost everything. 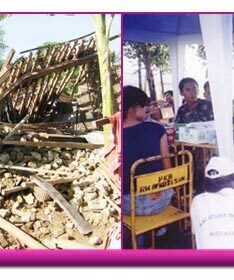 Food, blankets and medical supplies were collected, transported and distributed generously. 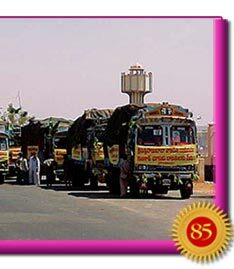 Two and a half tonnes of rice were distributed by the Sevadals. Fifty stoves and many essential household items were given to the needy. Tools and volunteers arrived to rebuild homes. Six Sai medical teams were dispatched. 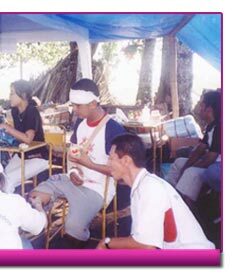 By June 14, approximately 1,070 victims had been medically treated by Sai volunteers. Moving on to the West Indies, the Caribbean region consists of nearly 7,000 islands. Among these, arranged from east to west, are Puerto Rico, the Dominican Republic, Haiti and Cuba. The Dominican Republic and Haiti actually share an island in common. Every year, from August through November, this region is subject to storms that originate off the coast of Africa and develop into hurricanes in the Caribbean Sea. The 2008 season was quite active. The region was battered by eight hurricanes, of which five caused serious damage. 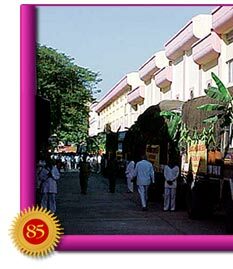 The Sathya Sai Organisation of Puerto Rico came into being in 1987. Since then, its Sai devotees have engaged in a variety of social welfare activities, often reaching the needy outside their borders. The Service Coordinator of the Sai Organization in Puerto Rico was particularly concerned about the poor people, especially those living in Haiti. 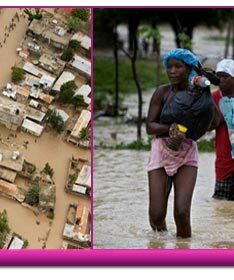 Among Latin American countries, Haiti has the lowest standard of living, and the Haitian people would likely suffer the most from these violent storms. In anticipation of this, the devotees of Puerto Rico began to collect clothes and food items with the idea of transporting them to Haiti. 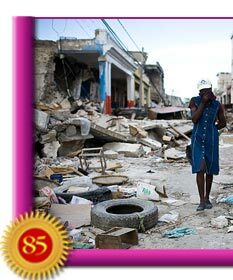 Their apprehension was correct: Haiti was first hit by Hurricane Gustav on 27 August, and then by Hurricane Ike on 7 September. Both caused major destruction and loss of life. The care packages were soon on their way. The first stop was the Dominican Republic immediately to the west of Puerto Rico. There, the packages were detained because of bureaucratic red tape and later by transportation costs. 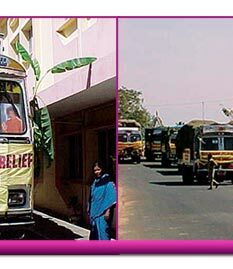 Through Bhagavan’s grace, both these obstacles were overcome and 48 cartons of aid arrived at the Haitian capital. 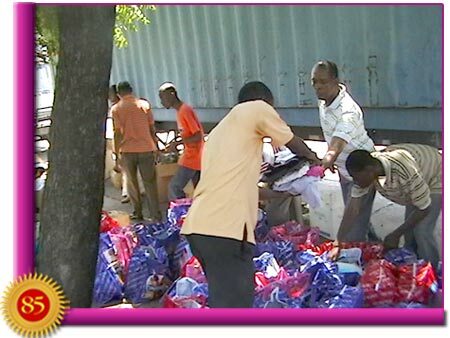 Devotees from the Sai Center of Haiti gift-wrapped 110 packages with essential food items and clothes for families that had lost everything. 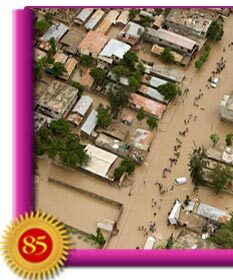 These disasters are devastating and involve significant loss of life and human suffering. But there are tragedies that dwarf even these. Two have occurred in this decade alone. With a magnitude between 9.1 and 9.3 and an epicentre off the west coast of Sumatra, Indonesia, the earthquake of 26 December 2004 is the third largest earthquake ever recorded on a seismograph. This tremor had the longest duration of faulting ever observed, between 8.3 and 10 minutes. It caused the entire planet to vibrate as much as 1 cm and triggered other quakes as far away as Alaska. It produced tsunamis that crashed onto the coasts of lands bordering the Indian Ocean. Over 230,000 people lost their lives in 14 countries. In some places, coastal communities were drowned in waves 100 feet high. 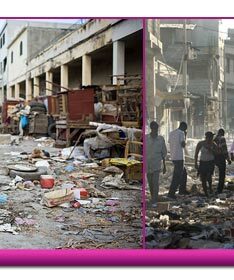 On 12 January, 2010 an earthquake with a magnitude of 7.0 and an epicentre approximately 16 miles west of Port-au-Prince devastated the capital of Haiti. An estimated three million people were affected by the quake. 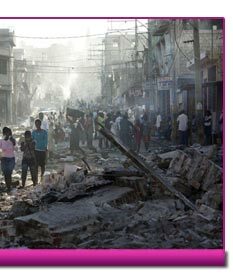 The Haitian Government reported that approximately 230,000 people had died, 300,000 had been injured and 1,000,000 made homeless. 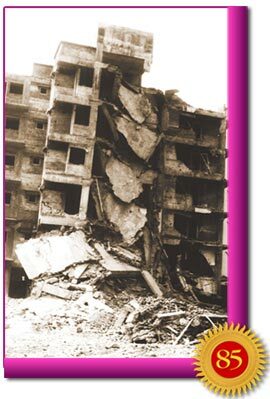 They also estimated that 250,000 residences and 30,000 commercial buildings had collapsed or were severely damaged. 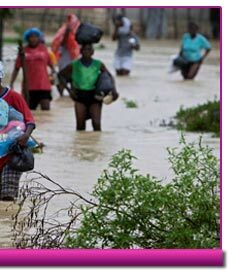 Responding to both these mega disasters, many countries and world humanitarian organisations appealed for aid, pledged funds and dispatched rescue and medical teams, engineers and support personnel. 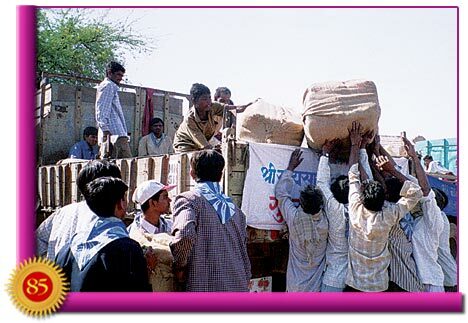 In numerous countries, the Sai organisations rallied to provide aid, support and relief services. And in true Sai fashion, these organisations continue to work in these areas to relieve the suffering of the needy and help them rebuild their shattered lives. Bhagavan has said in His discourse that the excesses of man are the cause of such disasters. If man were to live within the proper limits of Nature, it would not react with such violence. Some may disagree with this pronouncement. Long before man walked this earth, there were natural upheavals of colossal proportions. A few of these were such that many of life’s species perished at the time. Man was not responsible for those. Why hold him responsible now? They may ask. “Let me start with the question many have asked, ‘How can God silently watch all this terrifying devastation and destruction? Why did He not do anything to stop it?’ Swept by emotions and shallow perception, people are quick to blame God for events like this. “The earth, which many often take to be a purely inanimate object, is not quite what we imagine it to be. True, technically speaking the earth might be classified as inanimate, but those who have followed Swami’s discourses would realise that even inert objects in creation are suffused with divine consciousness, though it might be present in a passive form, as opposed to the active form manifested in living beings. “Consciousness pervades the universe as one integral fabric. It is like the atmosphere that surrounds the earth. There is air everywhere, be the Artic, Antarctic, or over land and sea, and in all lungs too. There is an organic continuity of atmosphere. The consequence is that air gets mixed up. For example, depending in the direction of the wind, one day we might breathe cold air from the Artic and the next day warm air from the Indian Ocean. Likewise, the air we breathe out may be swept away to another continent. “But what does all this have to do with God, punishment, and the tsunami? Our actions generate subtle vibrations in the higher dimensions of thought and consciousness. And these vibrations spread out reaching everywhere pervading the entities they encounter. For example, when a person speaks, he generates sound vibrations in the air, and these propagate and can travel through solid matter like walls and liquid materials such as water. 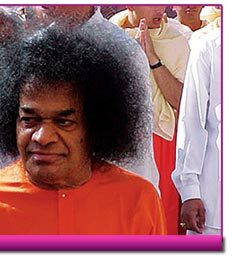 Speaking about bhajans in one of His discourses, Swami mentioned that along with sound vibrations, which occur in gross matter, subtle vibrations are also set up and proliferate forever without any attenuation. In this respect, the later are quite different from the former, which get weakened with distance. These subtle vibrations interact with subtle matter. Swami said, that when a large number of people sing bhajans with all their heart, these sacred sensations so generated help to calm the turbulence in the world that is otherwise so full of agitations. 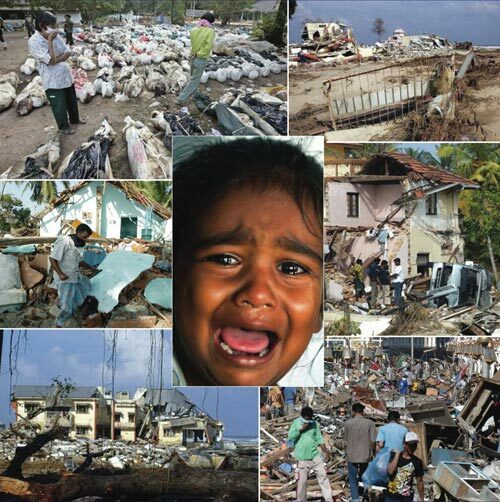 “The tsunami is one example of a natural disaster. Cyclones, typhoons, earthquakes are other instances. True, every one of these can occur due to natural causes, but man can trigger them. Imagine a rock perched next to the edge of a hill. Over a period of time, due to erosion and such factors, one fine day the boulder may roll down. This would be due to natural causes. On the other hand someone may come, put a lever under the rock and give it a shove. If that is done then the huge stone would roll down for sure. So you see the same kind of phenomenon can be triggered both by Nature as well as by man. In this example, a human intervenes via a direct physical act. Is God only a silent spectator? Way back in 1976, Baba spoke similar words during an interview with editor-in-chief, R.K. Karanjia of Blitz News magazine. Baba: “This is precisely what I am doing by incarnating or rousing the indwelling God in man to overcome such calamities like earthquakes, floods, droughts, and epidemics. “There are two ways in which an 'Avatar’ can help people - offer an instant solution as against a long-term one. Any immediate solution would go against the fundamental quality of Nature itself as well as the Karmic Law of cause and effect. “Most of people live in the material world of desires and egos, which is governed by this law. They reap the fruits of their actions. This brings about their evolution or devolution. If the Avatar intervenes to instantly solve their problems, it would stop all actions in development, even evolution. This solution can be ruled out, because it totally negates the natural laws. Baba: “Exactly. They will become shareholders of My Sankalpa Shakti. I have to work through them, rouse in them the indwelling God, and evolve them to a higher reality in order for them to master the natural laws and forces. “If I cure everything instantly, leaving the people at their present level of consciousness, they would soon mess up things and be at each other's throats again. The result is that the same chaotic situation would develop in the world. “Suffering and misery are the inescapable acts of the cosmic drama. God does not decree these calamities, but man invites them by way of retribution for his own evil deeds. “So, finally, if the Avatar brings the calamities to an immediate end (which I can do when there is great need) the whole drama of creation with its Karmic Law will collapse. “Remember, these catastrophes occur not because of what God has made of man, but really because of what man has made of man. In enumerating global diasaters, we have endeavoured to illustrate the reach of the seva activities of Sai organisations worldwide. More important, we delved into the motivations of man and the impact this has had on the planet. In the next episode, we return to India and investigate how a comprehensive and holistic seva project initiated by Bhagavan Baba was undertaken in the aftermath of a mega disaster.